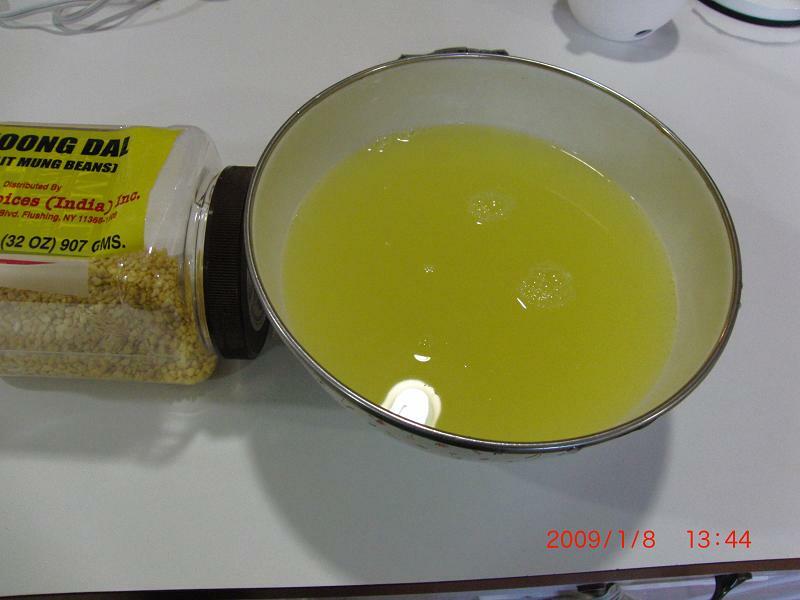 The organic yellow dal is on the right in this photo. 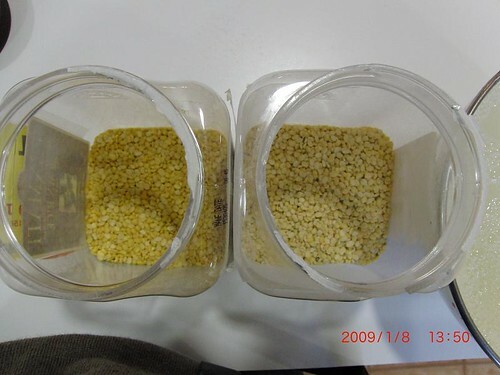 The beans are a lighter shade of yellow. 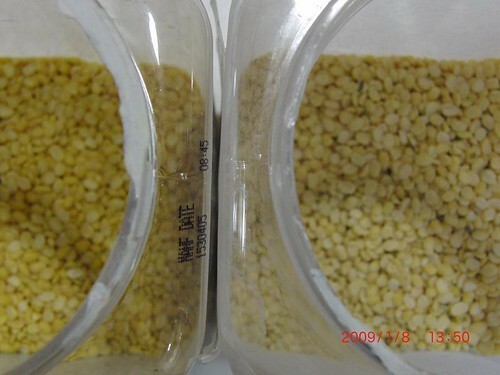 Another photo of the same two dal samples of yellow dal (split mung or moong beans). 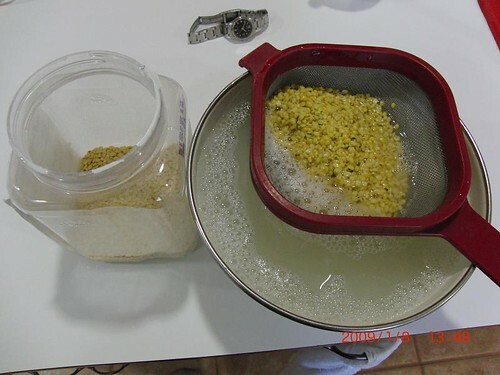 This is how I rinsed the dal. You can repeat the same test yourself at home. 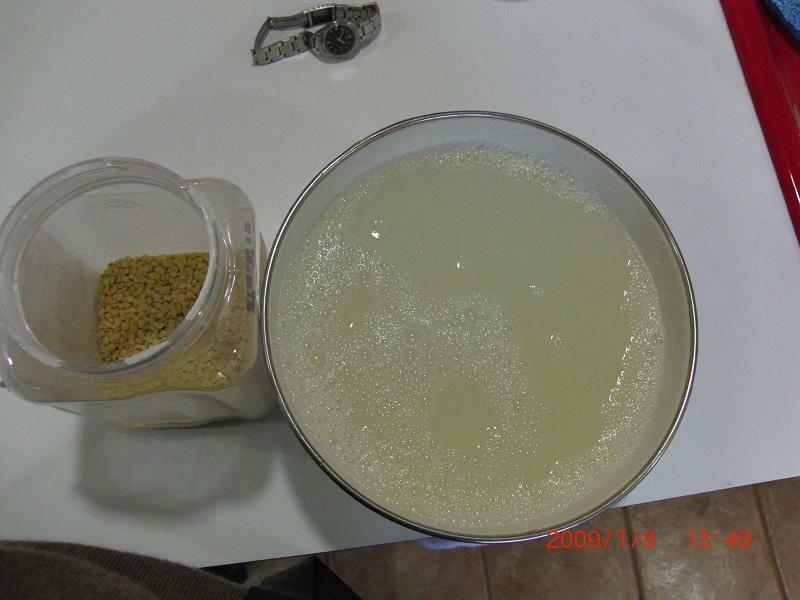 Here is a larger photo showing the water after the organic dal was rinsed. Now, here is the shocker. 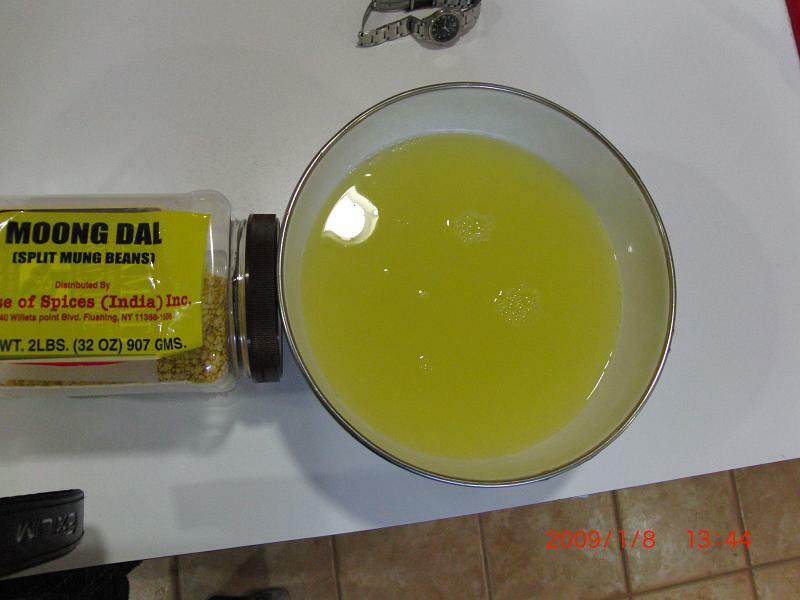 Look at the color of the water after rinsing the yellow dal from my local Indian store. This bright yellow color is not natural! In case you think it was the lighting or something, here is another angle. In person, the water looks even brighter, if you can imagine that!